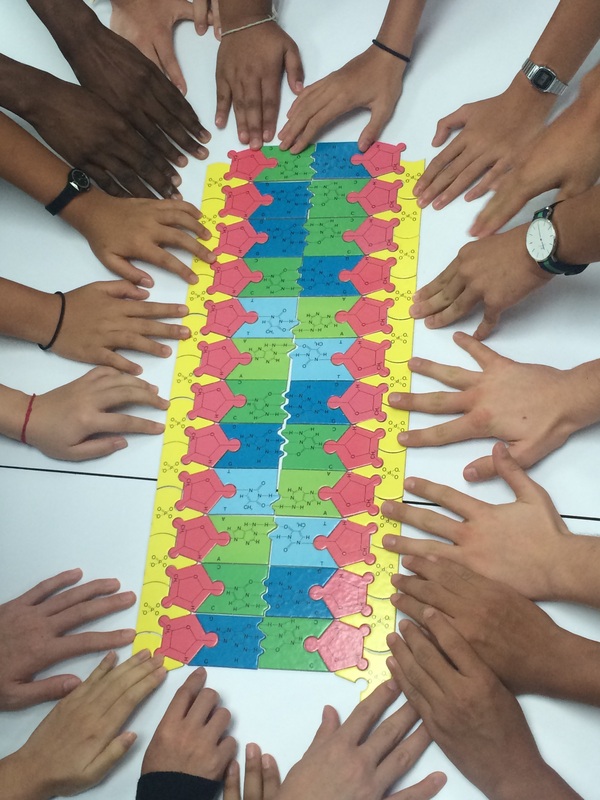 This year, while trying to locate our ball-and-stick DNA models, we found an old cardboard-puzzle DNA kit. It proved a great (and unplanned) way to introduce the structure of DNA and have the students examine the chemical features to deduce their own answers to the structural significance of DNA. 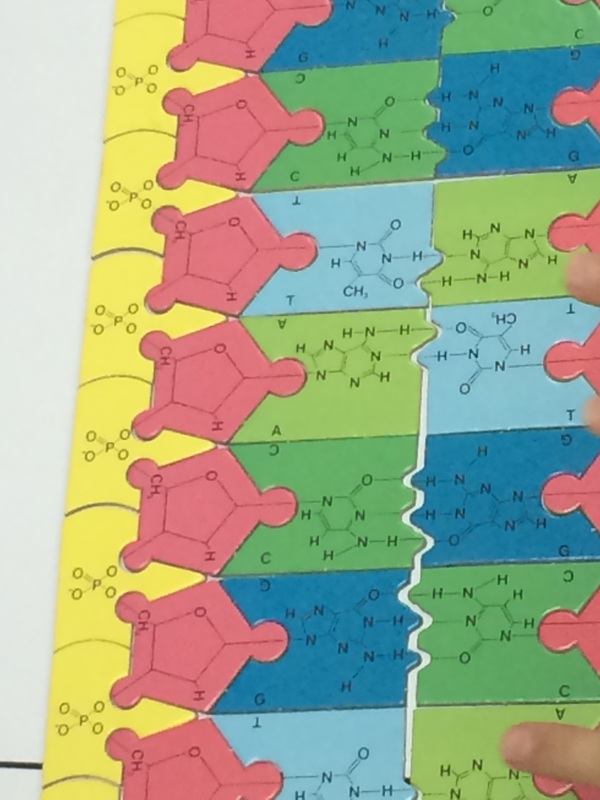 The advantage of this kit was that it had the chemical structure painted onto the puzzle pieces and the students, much like Watson and Crick in the early 1950s, were able to experiment with no guidance from me and determine which pieces needed to fit where. There were many “Aha” moments as different students determined out where the different chemical pieces fit best. We were thus able to figure out the significance of anti-parallel strands, purine + pyramidine pairing, 3′ →5′ linkages and the sugar-phosphate backbone. Models in action! Obtaining evidence for scientific theories—Meselson and Stahl obtained evidence for the semi-conservative replication of DNA. Evidence is central to the scientific process; without it, there is no way to support or refute theories. In many cases, the process by which evidence is obtained can be just as interesting as the final results. As we discussed in class, there were three possible ways that the DNA molecule could replicate itself. Meselson and Stahl provided an elegantly designed experiment that provided proof of the semi-conservative replication predicted by Watson and Crick. Follow this animation on their experiment here and read their biographies here. Their original paper, published by the Proceedings of the National Academy of Sciences (USA), is also available online, though can be technical at times. Dnaftb.org,. ‘DNA Replication :: DNA From The Beginning’. N. p., 2015. Web. 11 Nov. 2015. Highered.mheducation.com,. 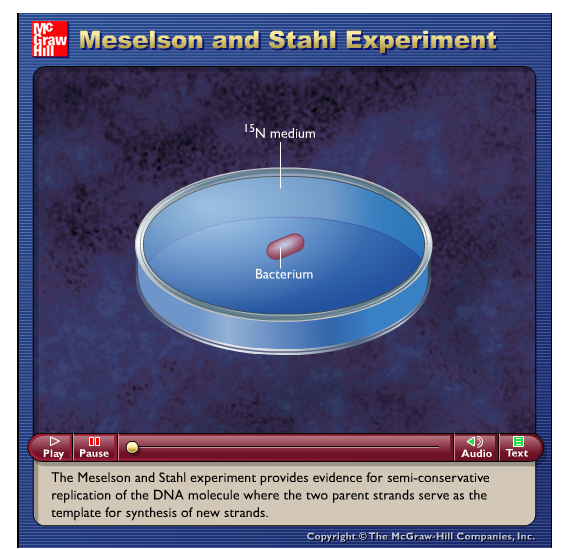 ‘Meselson And Stahl Experiment’. N. p., 2015. Web. 11 Nov. 2015. Using models as representation of the real world—Crick and Watson used model making to discover the structure of DNA. 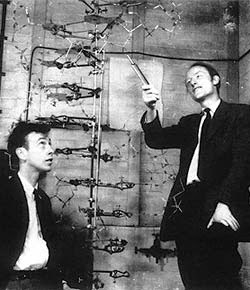 In 1953, Francis Crick and James Watson published their article proposing the Double-Helix structure of DNA. This represented the culmination of nearly 50 years of research into the function and structure of nucleic acids. One of the important steps they undertook in determining this was the building of a relatively simple model. Is there any distinction to be drawn between knowledge claims dependent upon observations made by sense perception and knowledge claims dependent upon observations assisted by technology? You can download the original published paper of their discovery from the journal Nature. Watson and Crick (together with Maurice Wilkins) were awarded the Nobel Prize for Physiology or Medicine in 1962. More information is at the Nobel Prize website. Hewitt, Alison. Watson and Crick with the double-helix model. Digital image. Watson and Cancer. UCLA, 7 Mar. 2011. Web. 9 Oct. 2014. <http://newsroom.ucla.edu/stories/watson-and-cancer-193383&gt;. The Discovery of the Molecular Structure of DNA. Nobel Media, n.d. Web. 08 Oct. 2014. 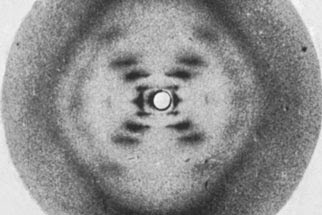 <http://www.nobelprize.org/educational/medicine/dna_double_helix/readmore.html&gt;.